Be on the front-end of the resurgence of downtown Muskegon!! Exceptional development site consisting of approximately 7-acres. Over 600' of frontage overlooking Shoreline Drive toward Muskegon Lake. 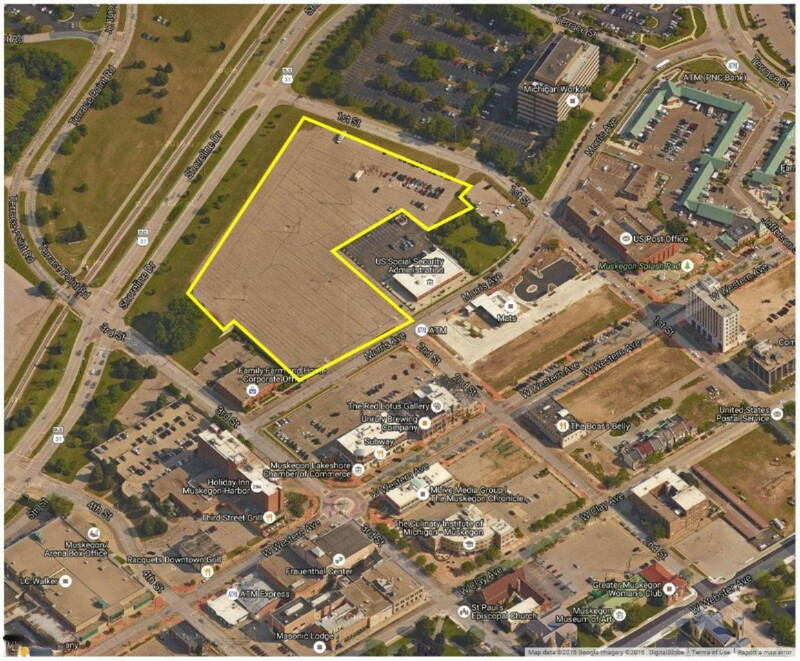 Additional frontage on 1st Street and Morris Street provide multiple site development options. Dependent upon the proposed project, possible municipal development incentives include: commercial tax abatements, environmental site assessment assistance, and Brownfield TIF. Property may be divideinto smaller units if desired.